By having phenotypically plastic traits, such as morphology, behaviour and life history, many organisms optimise their fitness in response to fluctuating threats. Freshwater snails with translucent shells, e.g. snails from the Radix genus, differ considerably in their mantle pigmentation patterns, with snails from the same water body ranging from completely dark pigmented to only a few dark spots. These pigmentation differences have previously been suggested to be genetically fixed, but we suggest that this polymorphism is due to phenotypic plasticity in response to a fluctuating environment. Hence, we here aimed at assessing if common stressors, including ultraviolet radiation (UVR) and predation, induce a plastic response in mantle pigmentation patterns of Radix balthica. 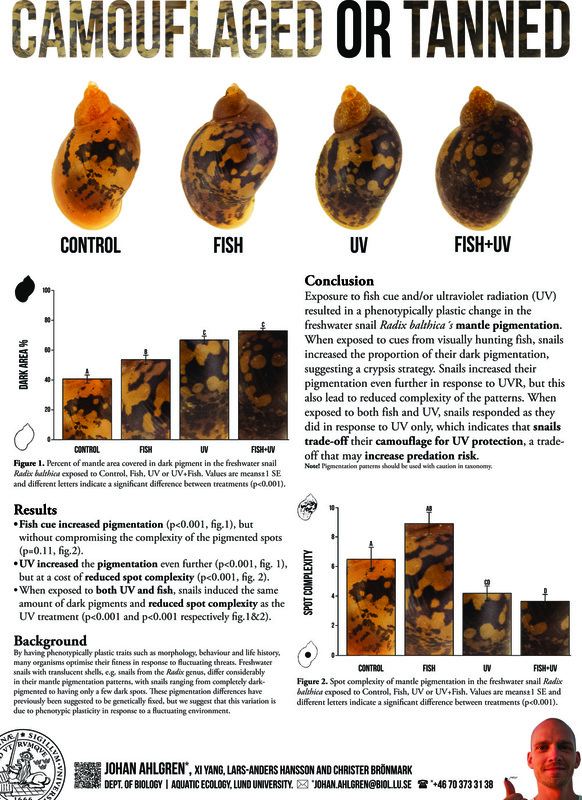 We show, in contrast to previous studies, that snails are plastic in their expression of mantle pigmentation in response to changes in UVR and predator threats, i.e. 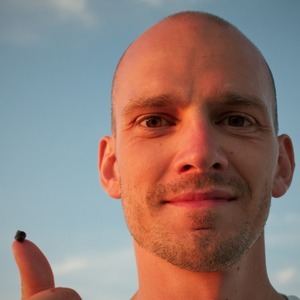 differences among species or populations are not genetically fixed. When exposed to cues from visually hunting fish, R. balthica increased the proportion of their dark pigmentation but without compromising the complexity of these pigmented spots, suggesting a crypsis strategy. Snails increased their pigmentation even further in response to UVR, but this also lead to reduced complexity of the patterns. Furthermore, when exposed to UVR and fish, snails responded in the same way as in the UVR treatment, suggesting a trade-off between photoprotection and crypsis.